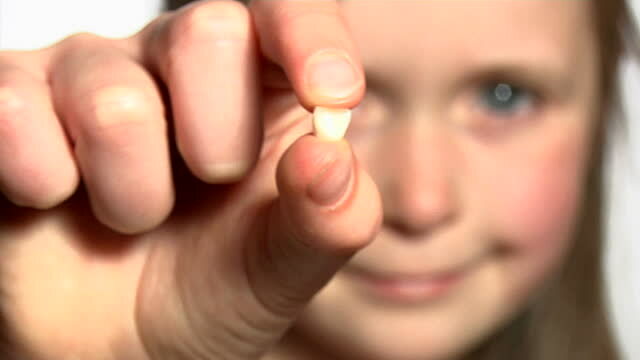 It is a great achievement when a child loses its baby tooth. However, many people do not know the fact that this tooth can actually save a life. Many of the parents are aware that they can bank the cord blood from their children because it contains the beneficial stem cells. However, parents who do not do the banking can take some of the stem cells in a less painful way. Fortunately, we provided you with this article that can inform you all about this amazing fact. Read the article below and inform yourself about the important recent discovery! A study that was conducted by the famous expert Dr. Songrao Shi discovered that baby teeth can be later used for various kinds of diseases. That is because baby teeth include one or two dozen stem cells. Many researchers have been studying the effect of the stem cells for a long period of time. Researchers also put a huge effort to discover where the stem cells can be used. The discovery showed that the stem cells can be used in various organs such as in the heart, brain and pancreas. Dr. Shi and many other experts explained that our adult teeth contain only one type of stem cell. These experts made a new discovery and found out that the stem cell from the baby teeth of children at the age of 7 or 8 are different than the one in the adult teeth. However, many people are interested about this process and how it actually works. The explanation is simple- you can find the stem cells inside the dental pulp placed in the tooth that recreates into the neurons, cartilage and bone and even the cardiac cells. When it comes to treating type 1 diabetes, this process has been proven to be very effective. A production of insulin is made when the dental pulp stem cells are placed into the pancreatic- type cells. Note: You should know that the cells must be alive in order to be useful later, which means that the process of preserving stem cells can be quite delicate. You must take into consideration that the dental pulp needs special care. Before the dental pulp is frozen, it should be in an adequate blood supply for 48 hours. Any less time can kill the cells, which will make them useless. Dr. Peter Murray claims that the steam cells found in third molars, tooth buds, induced pluripotent cells, periodontal tissues and baby teeth can create teeth and tissue in the mouth. Another informational fact is that there are services available for storing baby teeth. They recommend dentists professionally to remove baby teeth which are not dangling. If that happens they will not have much blood supply. However, there are other services that provide parents with packages that are necessary for storing baby teeth. In this way parents are able to do the procedure by themselves. Usually there is a storage container together with a preservation solution that is necessary for storing the cells in home conditions. If you want to get more informed, watch the video below! In the video you can see how the dentist explains the importance of saving your child’s teeth and why is it useful.